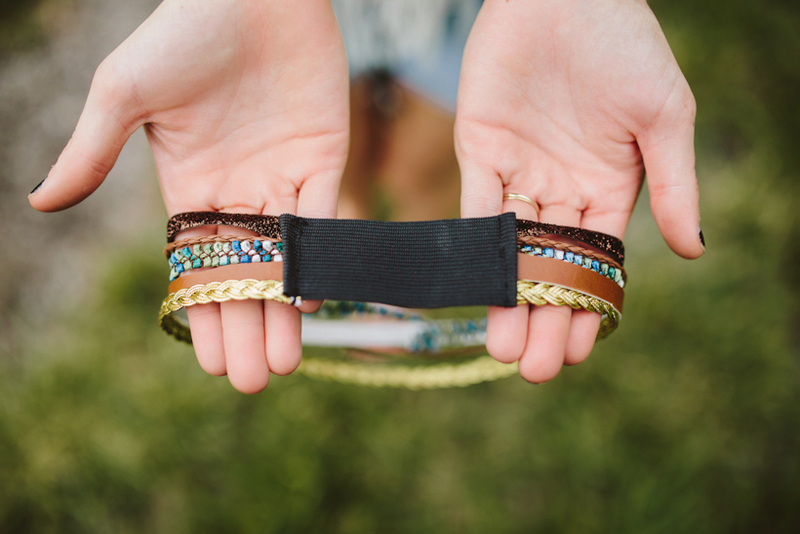 Summertime calls for headbands. 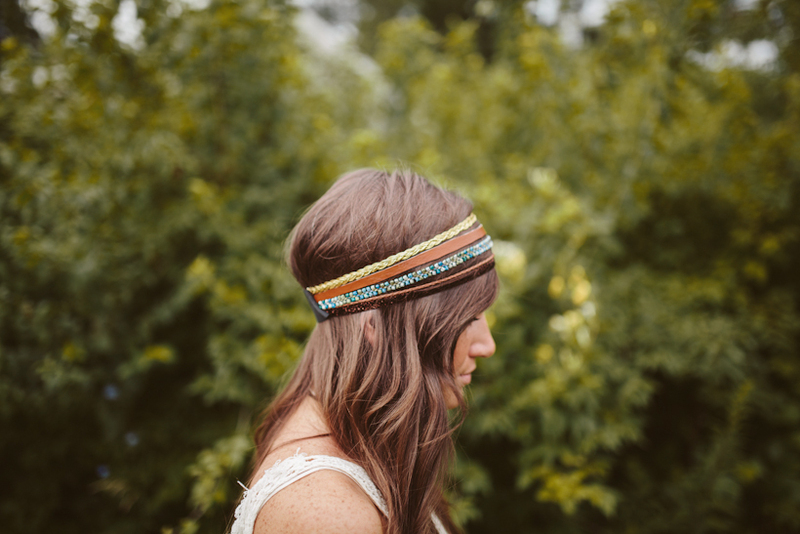 I always forget what a fan I am of a good headband until the warmer weather rolls around. Whether paired with casual shorts and a tank top or with a fancy summer dress, it gives every look a carefree, bohemian vibe. It's also a great way to hide your messy locks on those days you don't have the time to give it some love (or you're like me, and you just don't want to fix your hair... oops). I'm not kidding when I say this is the easiest headband I've ever made. All I did was take five strands of different materials (gold braided cord, leather strip, leather cord, glitter strand, and multicolored ribbon) and stitched them to a piece of elastic. To make it look more professionally made, I folded the elastic under before sewing it so that it would have a nice, seamless edge. One important step is making sure that all of the strands are exactly the same length. This way none of them will be looser or tighter when you're wearing it, making it fit around your head perfectly. Oh my goodness! I absolutely love this! I've started wearing headbands more and more recently, definitely going to have to make some of my own! I love this, has the perfect hint of hippie, thanks for sharing! 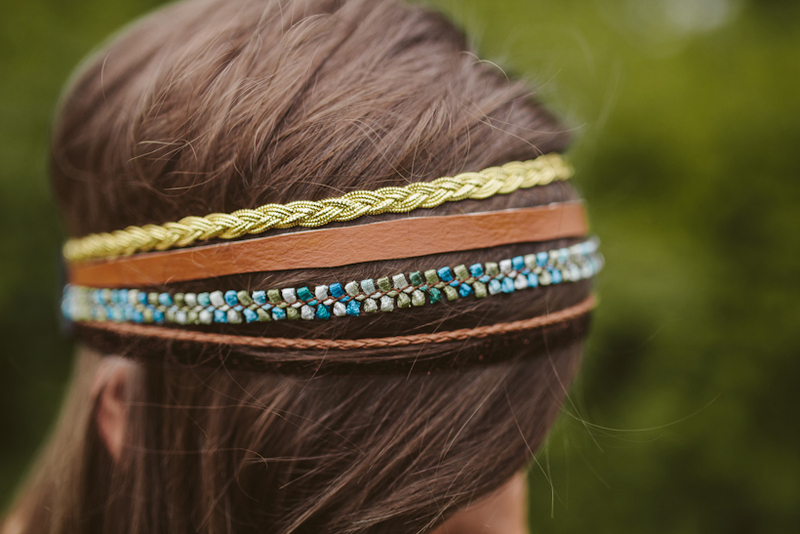 This headband is beautiful! I'm always on the lookout for unique thicker headbands since I'm growing out my bangs right now. Thank you so much for the tutorial! 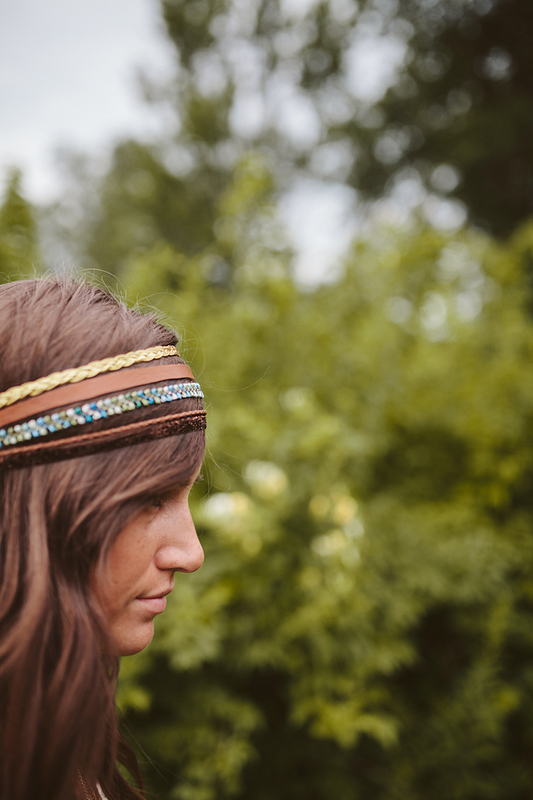 This headband looks amazing on you and I love your pictures! That is so creative! Thank you for the great idea!